This is our second social of the year! 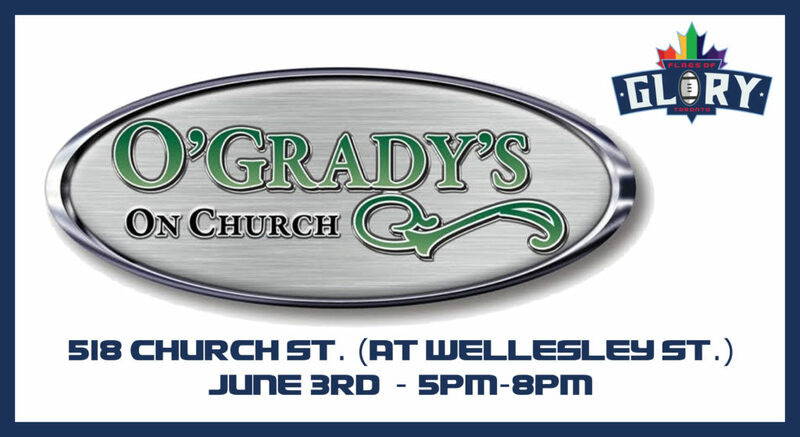 Head out after your game on June 3rd, for a drink and some eats at O’Grady’s Bar and Restaurant on Church, which is one of our oldest sponsors. O’Grady’s is an amazing fun pub with outstanding staff that serves excellent comfort food, beer, and cocktails. Located at 518 Church Street, Toronto, Ontario,O’Grady’s on Church iis conveniently located just a short walk from Wellesley Station. Accessibility Note: There are stairs leading into O’Grady’s and the bathrooms are located upstairs. For more information, or to rsvp, please visit the event page on facebook.